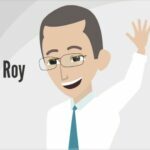 A few months ago, I posted on The Go To Chocolate Store what I believed to be a logical and effective method for finding the world’s finest chocolates online. You can read that article here. In what follows, I will first review the method that I use to find some of the world’s finest chocolates. Then I will present the indicators that I use to determine which of those chocolates were made by truly world-class chocolate companies. In my previous post, I stated that I begin my searches for fine chocolates by looking for companies based in one of the world’s four major chocolate-producing countries: The United States, Switzerland, Belgium, and Germany. Then I continue my search with companies located in one of the other six countries renowned for great chocolate: Mexico, Spain, France, The United Kingdom, Italy, and Denmark. After finding a few chocolate manufacturers, I look for evidence that their chocolates are made from the best and freshest ingredients. I then investigate the training of their master chocolatiers. The finest chocolates are often made by master chocolatiers mentored in Europe; especially Italy, Spain, and France. Next, I look for commitments to quality. The best chocolate companies will demonstrate commitments to quality with state-of-the-art facilities, quality certifications, and partner relationships with employees, growers, and service providers. And finally, I look at packaging. The world’s finest chocolates are meticulously inspected, packaged by hand in beautiful containers, and securely shipped to customers. These considerations are certainly relevant when searching for the world’s finest chocolates. And there are many chocolate companies that satisfy the above criteria. When Billie Jean and I decided to create the Go to Chocolate Store, we believed that the world’s finest chocolates are the delicious and predictable products of world-class chocolate companies. We still believe that, but what is a world-class chocolate company, really? The Merriam-Webster dictionary defines world-class as “being of the highest caliber in the world.” At the Go to Chocolate Store, we believe that a truly world-class chocolate company will demonstrate that it is of the highest caliber by taking ethical responsibility for the environmental and human impact of all aspects of its chocolate-making processes and sourcing policies. 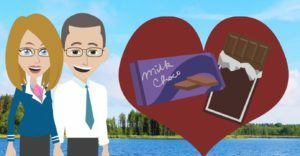 While it seems obvious that world-class chocolates are made by world-class chocolate companies, it is not so obvious how we identify those world-class companies. There are ethically responsible chocolate companies in the world, but there are also chocolate companies that overlook human and environmental exploitation by their cocoa sources. Human trafficking is widespread in some cocoa farming regions of the world, especially West Africa. Many thousands of human beings are sold into slavery every year to work on cocoa farms while enduring dangerous working conditions and exposure to deadly pesticides. Fortunately, there are ways to ensure that the chocolates you purchase are made by companies whose cocoa comes from slavery-free and sustainably farmed sources. Cocoa from sustainably farmed, slavery-free cocoa farms will be Fair-Trade, B Corp, or UTZ certified. There are other similar certifications, but these are some of the most common. Chocolate made with 70 to 95 percent pesticide-free cocoa will be labeled “Organically grown” or comparable. Billie Jean and I still believe that fine chocolate is the perfect gift for almost any occasion. We also believe that many people, when given a choice, prefer to purchase fine chocolates from ethical companies. By that, we mean truly world-class companies that consider the environmental and human impact of their own processes and the processes of their sources. To many people, fine chocolate is a delicious and well-deserved indulgence that should be occasionally enjoyed and always without guilt. We want those people to be confident that the chocolates they purchase from the Go to Chocolate Store are made with the world’s finest ingredients and processed by truly world-class companies that use only sustainably farmed, slave-free sources. 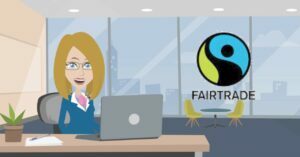 With that in mind, we intend to offer chocolates from companies that obtain their chocolate ingredients from Fair-Trade certified, B Corp certified, UTZ certified, or comparably certified sources. We will also offer a selection of chocolates made with organically grown ingredients. We understand that poorer cocoa farmer may not be able to afford organic certification, but we will require credible assurance of organically grown ingredients. And we will clearly identify those products where organic certification cannot be provided but the growers clearly have a policy and history of organic farming. 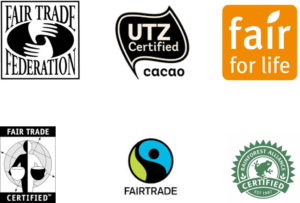 Fair-Trade certified, B Corp certified, or UTZ certified are perhaps the strongest indicators that the chocolates you purchase have been made with ingredients from sustainably grown, slave-free sources. There are several other powerful certifications, and we will indicate those as they become relevant to the products we promote. We believe that there are many world-class producers of fine chocolates. And it is our job to find them and offer their products to you. In summary, at the Go to Chocolate Store, we believe that the world‘s finest chocolates are the delicious and predictable products of world-class chocolate companies. The world’s finest chocolates are consistently made by chocolate companies in state-of-the-art facilities employing the best-trained chocolatiers using the best and freshest ingredients and continually monitoring the quality of their processes. Of these chocolate companies, the truly world-class companies also consider the environmental and human impact of their own processes and the processes of their sources. At the Go to Chocolate Store, we will offer the world’s finest chocolates made by world-class chocolate companies.